Periscope is awesome. We all have established that and every body loves it. It's growing like crazy. We have entrepreneurs, Internet marketers, bloggers, video bloggers, entertainers all utilizing periscope to better engage with their audience. If you're new to this periscope idea, in short, periscope is a live video broadcasting platform which currently works via iPhone and Android applications. Broadcasters start a scope, viewers post their comments live in real time, and show their love by tapping the screen for hearts! 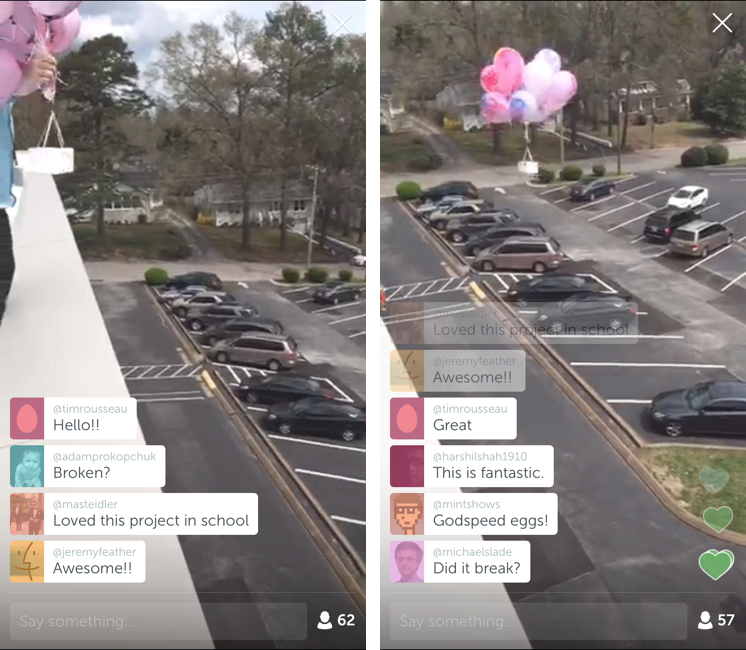 These hearts on periscope is a way of appreciation and acknowledgment just on Facebook with likes. But their is no limit to number of hearts you can tap in a scope. You can tap the screen to give a heart :) That's awesome. Can't we download the scope once it's done? No. 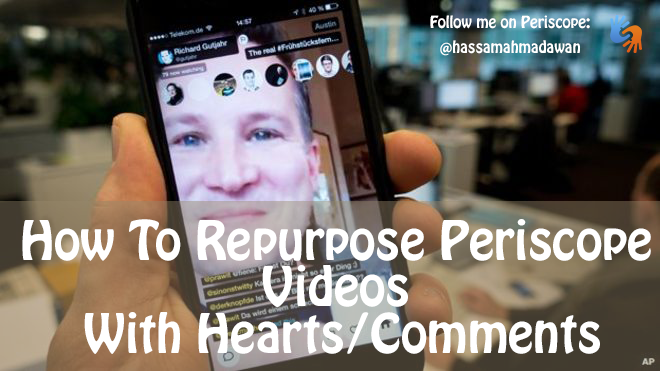 The sad part is that once a broadcasters is done with the scope, it's recording would be live on periscope's site for only 24 hours with hearts and comments showing up on screen just like in it's real live broadcast. Also, you also have an option to download a raw video of the broadcast BUT, without any of those hearts or comments showing up on the screen. So this makes it a bit tricky to re purpose the periscope videos. We can upload the same scope on YouTube and them embed them in a blog post. Also simultaneously post that video on facebook. This is, you're not only engaging with your audience but are also producing content to be shared with tons of other people who were not able to join the scope for some reason. How To Re purpose Scopes? Navigate to that link and start capturing the screen and play that video. Note that, that link is only available for 24 hours! So do this as early as possible. Play the video and record the screen! That's how I do it and works seamlessly. Then you can use that video anywhere you like and re purpose it. There are tons of mobile screen capturing apps for Android and I believe for iPhone too. (Not sure for iPhone though.). You can directly record the phone's screen when you'd would be live doing the scope. Hope that helps guys! DO give periscope a try! You'll be blown away by the fun you can have over it! There are people providing tons of value live in real time and it's just priceless! P.S I'll be announcing the giveaway winners in tomorrows blog post InshaAllah :) Fingers crossed!